A hidden treasure in the desert, All Saints Lunatic Asylum Haunted Attraction is like a good low-budget horror movie that outperforms the more expensive blockbusters. 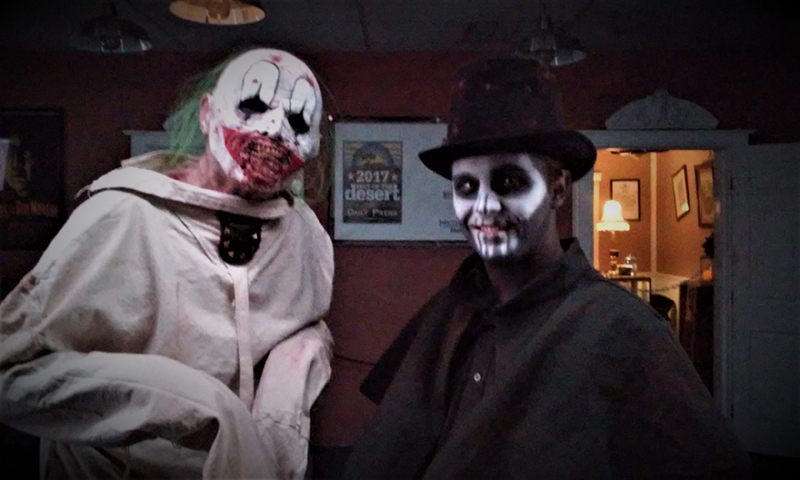 Tucked away in the quiet high-desert town of Apple Valley, in San Bernadino County, is an unexpected surprise: a Halloween haunt attraction that rivals the best Los Angeles has to offer. All Saints Lunatic Asylum Haunted Attraction provides more horror than we dared hope to find when we drove north over the Cajon pass and headed east on Highway 18. We feared dime-store masks and cheesy sets, but the single walk-through maze is filled with an impressive variety of crazy characters and clever scare tactics, guaranteed to make the long drive worthwhile. Situated rather inauspiciously in a strip mall next to a liquor store, All Saints Lunatic Asylum Haunted Attraction doesn't look like much from the outside; in fact, it's easy to miss on the dimly lit side street near the intersection of Highway 18 and Central Road (make sure to set your GPS). There is a lighted sign above the entrance and (depending on the wind) a lighted, inflatable ghoul. The first indication of something interesting is Pickles, a clown in torn straight-jacket wandering the small parking lot and eagerly accosting potential customers. Pickles is ghastly and funny - which more or less sets the tone for what follows. The back story of the attraction is that All Saints Lunatic Asylum was shuttered 50 years ago, but doctors and patients still wander its halls like damned souls. This explains the reception room, occupied by nurses in garb suggesting a long-lost era. After signing the visitor log, you are directed to enter a small elevator, pitch black, where the operator admits he has not kept the machinery in good repair. The plunge that follows is allegedly fatal; you exit to wander the corridors, perhaps joining the resident maniacs forever. The walk-through haunted house's simulation of asylum hallways with locked doors is impressive, but the theme soon gives way to other environments - presumably representing the deranged fantasies of the inmates. Some of the sets are your basic claustrophobic corridors, but the haunt frequently opens up to reveal more detailed settings, inhabited by almost every kind of ghoul imaginable. There are clowns, dentists, butchers, surgeons, spooky children, demons, and more; in fact, it's a virtual Halloween horror greatest hits package - a little bit of everything - and all of it works. All Saints Lunatic Asylum's haunted house makes effective use of darkness: sometimes it's interrupted by a slow strobe light; other times, it is completely black. The best of the blackout settings involves a corridor with something lurking inside - always just a step ahead, making its presence known with tiny clicking sounds and perhaps just the faintest dot of luminescence. Your blind and completely at its mercy, but if you are brave enough to proceed, keep your hands on the walls to steady yourself and inch forward until you find a way out. The performers are enthusiastic and very adept at calibrating their performances for their victims. We went through twice - once alone, once with others. With a crowd that needs to be pushed along to make room for the next group, the monsters shriek and howl, jump-starting their victims into making a rapid exit. Faced with a single individual with time to linger, the characters engage at greater length, extending the confrontations into more intimate encounters: the ghost girls (one of whom does an expert upside-down spider walk) want you to stay and be their friend; the crazy lady in the restroom is happy to expound on the benefits of poop; and the deranged dentists would be happy to share a hit of laughing gas with you. The latter scene is a personal favorite: we've seen lots of dental horror with whining drills piercing our eardrums; going for a silly-crazy-giggling approach plays against type - it's funny but demented. Which more or less sums up All Saints Lunatic Asylum. 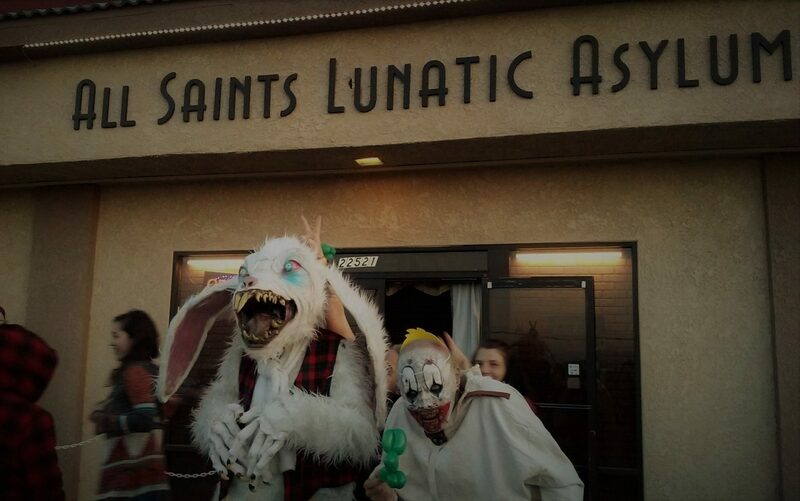 We feared that the All Saints Lunatic Asylum Haunted Attraction might be a low-budget effort utilizing store-bought props and costumes, but it has more of homemade feel. The masks, makeup, and costumes are nicely detailed and convincing within the dimly lit interiors. The length of the walk-through, with its variety of settings, provides more than your money's worth of scares. The sets are not always convincing, but they always work: an exterior graveyard setting has a little bit of a fun-house feel - you don't really believe you're in a cemetery - but it's loaded with an amazing mechanical pop-scare that sends victims screaming. All Saints Lunatic Asylum doesn't have the ultra-high-end production values of the Reign of Terror Haunted House of the Into the Black Halloween Haunt. It's closer in spirit to Mable's 6 Feet Under Haunted Motel: it's like a good low-budget horror movie that uses solid if unspectacular resources in a creative way to outperform the more expensive blockbusters. We guarantee you'll scream more often inside the asylum's haunted corridors than you will any of the mazes at Halloween Horror Nights at Universal Studios Hollywood, With a $10 admission price, the cost-to-scare ratio is phenomenal - well worth the drive north to remote Apple Valley. 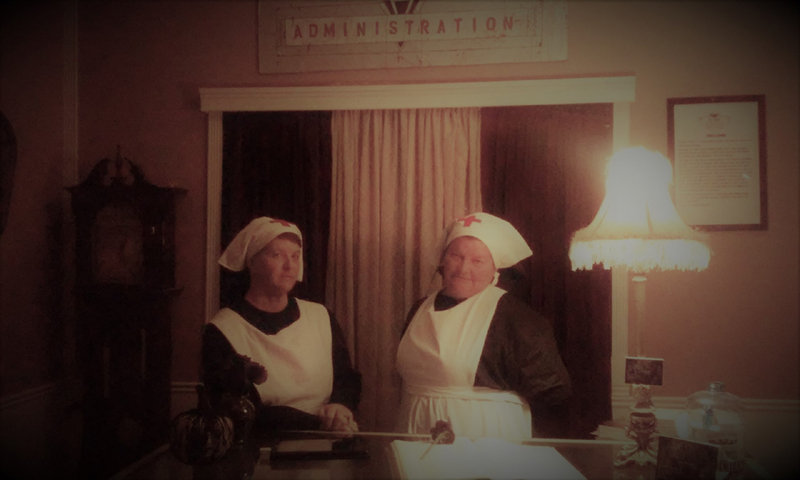 All Saints Lunatic Asylum Haunted Attraction resumes on October 27-31 at 22521 Shawnee Road, Apple Valley, CA 92308. Hours are 7-10pm. 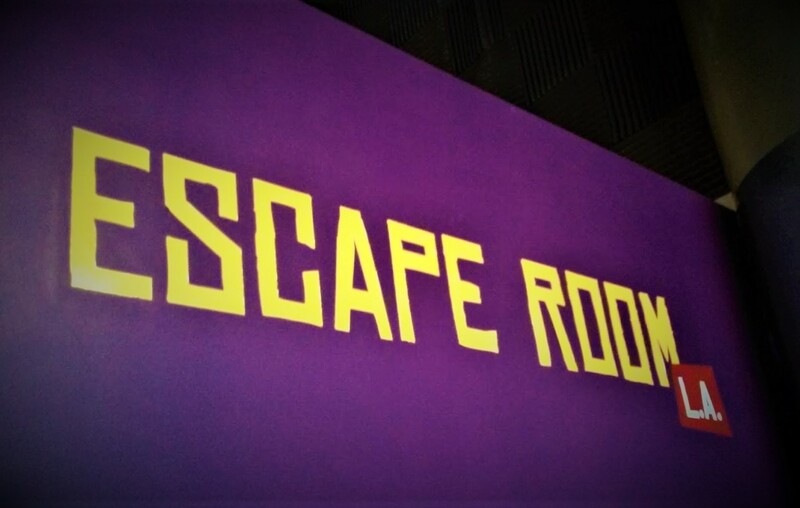 The venue also presents escape rooms and other holiday haunts (a rotten Easter Egg hunt, etc). The website is: allsaintsasylum.com. 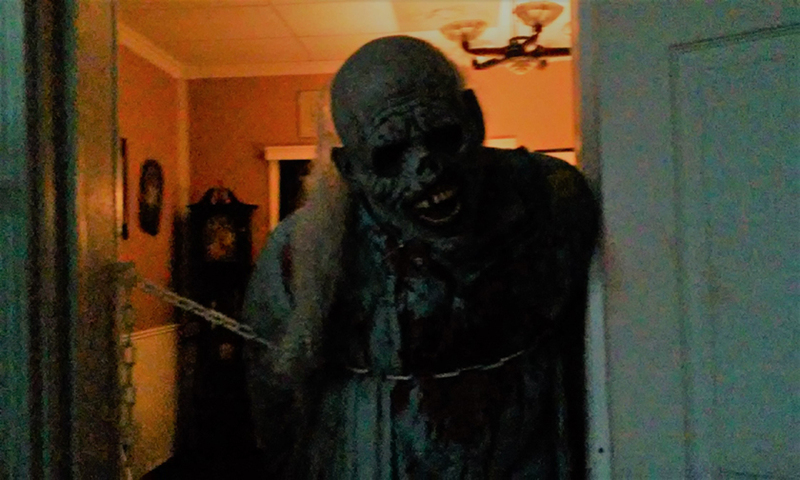 Crazy, funny, scary – like a good low-budget movie, All Saints Lunatic Asylum uses solid if unspectacular resources to create something more effective than many haunted house attractions with money to burn. With a $10 admission price, the cost-to-scare ratio is phenomenal – well worth the drive north to remote Apple Valley.